A strip of lake shore or river bank (roughly 30m) is selected during the day and assessed for potential hazards. At night the same stretch is surveyed using a torch to illuminate an area of roughly 1m2 at a time. The presence/absence of crayfish is recorded in the area. This method will give a semi-qualitative abundance of crayfish at the site. Night-searching is a useful as a means of assessing the presence/absence of crayfish in lakes, but in some instances may not be practical, due to safety considerations. The presence/absence of crayfish along a stretch of lake shoreline or river can often be ascertained by looking for otter scats with crayfish remains or other signs of crayfish presence. 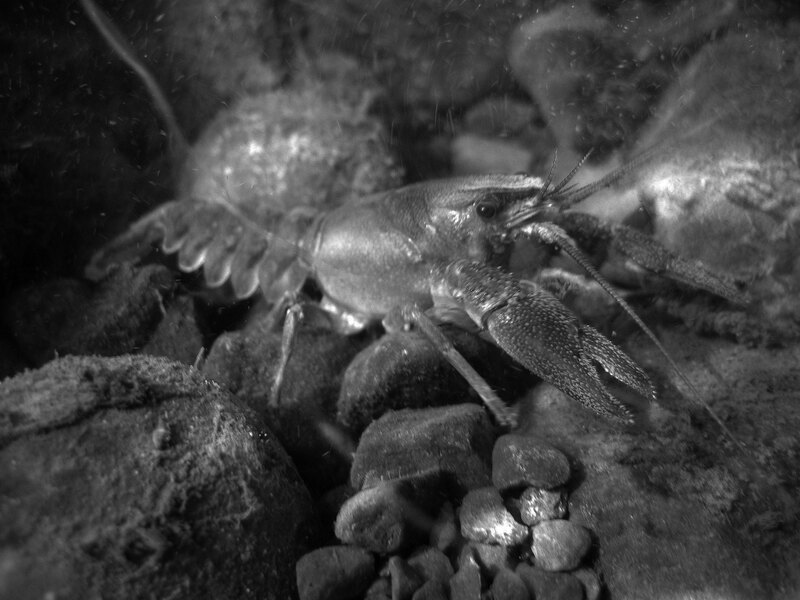 Night-searching ‘only records crayfish which are active at night, which tends to be predominantly adults.